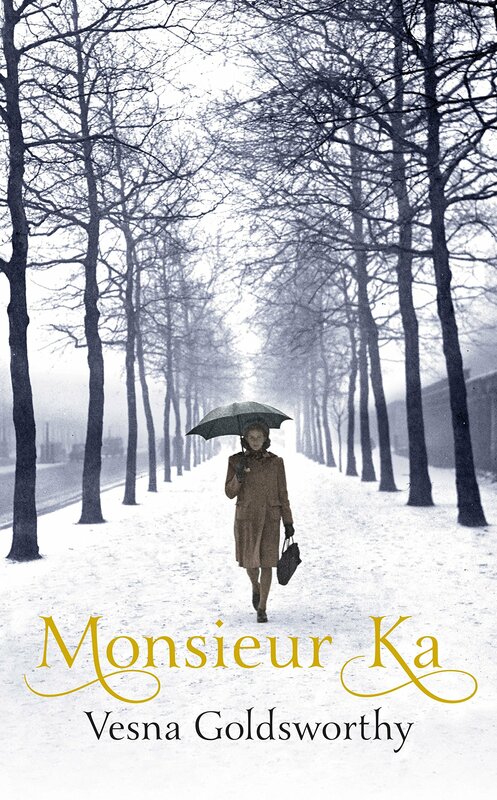 Mournful and evocative, Serbian writer Goldsworthy’s new novel recreates the bleak perspective of post-World War II London as observed by an immigrant/survivor, Albertine Whitelaw, a French Jew married to a British army officer. But that’s only the first layer of this mille feuille of a tale that repeatedly superimposes European history, the merging of nationalities and adoption/adaption of deracinated peoples. 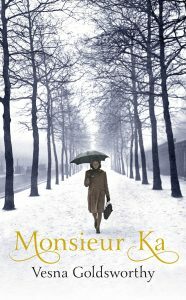 Albertine, lonely in Earl’s Court in 1947, finds employment as companion to one Mr Carr, aka Monsieur Ka, aka Karenin, the Russian count whose mother was Tolstoy’s model for Anna Karenina. Complicated though this may sound, it makes for compelling reading, in what unspools into a curious, cool and powerfully atmospheric view of souls struggling for meaning while tossed on the seas of political and psychic chaos. Albertine and Ka bond over readings from Madame Bovary. Later, she joins him on a trip to Shepperton where Alexander Korda is making his cinematic version of Anna Karenina, starring Vivien Leigh as the doomed heroine. Thus glamour and romance twinkle occasionally in the dreary landscape of post-war rationing, bomb sites and lingering austerity. Goldsworthy deftly creates a dark, chilly and foreign world as viewed by the outsider. Alienated both in England and in her very British marriage, Albertine, a richer figure than at first seen, emerges as a loner and a nonconformist. Her intensifying involvement with the Carr family ranges from keeping a written record of M. Ka’s memories of nineteenth-century Russia and escaping the revolution, to a different involvement with his son. Literature and language obviously play significant roles in the story. Not only is there Flaubert, and M. Ka’s memoir, ghost written by Albertine, but the count also shares with his companion one of the few remaining copies of a children’s book written and illustrated by his mother. Who knew that Anna Karenina wrote fiction? Also, French speaker Albertine, now translated into English, chooses to learn Russian, the better to comprehend her new ‘family’ with whom communication, itself a meld of languages, is symbolic of their journeys. While the Russian reminiscence can sometimes lie too thickly on the page, the powerful European mood – of sorrow, of catastrophe – lends heft to this vivid re-animation of not-so-distant history. Goldsworthy, author of Gorsky and Chernobyl Strawberries, emerges as a plangent, persuasive voice.